Custom Label is a community driven platform for Malaysian Indie design T-Shirts where designers, artists, hobbyist or anyone who wants to sell their label and for the public to BUY indie design t-shirts. The mission of Custom Label is to nurture the Malaysian art and culture and to have more Malaysian brand labels into the market while giving opportunities to independent artists to showcase their talent and monetise their work. Looking further ahead, Custom Label's vision is to have an invaluable asset whereby Custom Label will have Malaysia's trendsetter all under one platform. Where the hype and current trends will kick-off from Custom Label and head off to the market. The Custom Label platform is no computer science or does it requires any engineering skills. All you have to do is sign up for a Custom Label account using an email or Facebook account. After you have sign up, it is all set and ready to go. For designers, you will get to put in your T-shirt designs in your personal profile. Custom Label provides a profile for designers to introduce themselves properly, and even update their status to interact with their customer. It is like having a virtual shop, FREE of charge! For customers, it will be just like any other online website, you just have to go to Custom Label website and browse for your favourite design. Once you have chosen your favourite design, you will then need to purchase it via the payment method provided and wait for up to 3 working days for your T-shirt to be delivered to you. Custom Label will be the middle bridge between the designers and customers where designers no longer need to worry about production, delivery and paying fees to host a website. Custom Label will handle all of that and the designers can just focus on designing the best artwork. Aside from choosing a T-shirt, customers get to see the designer profile and the story or idea behind the design. Sometimes it may be more than just a T-shirt, but the T-shirt design may have a deeper story behind it. for example, a single mom design T-shirt which she will use the money to fund her daughter's education. Its like buying a T-shirt with a cause. How does Designers Monetize their work? When a purchase is made in Custom Label, the order is verified and then be send to the manufacturer to be produced. The payment for the selling price made by the customer will then be used to pay for the product cost, some management fees for Custom Label and the rest of it will then goes back to the designer. Who are Custom Label's target market? 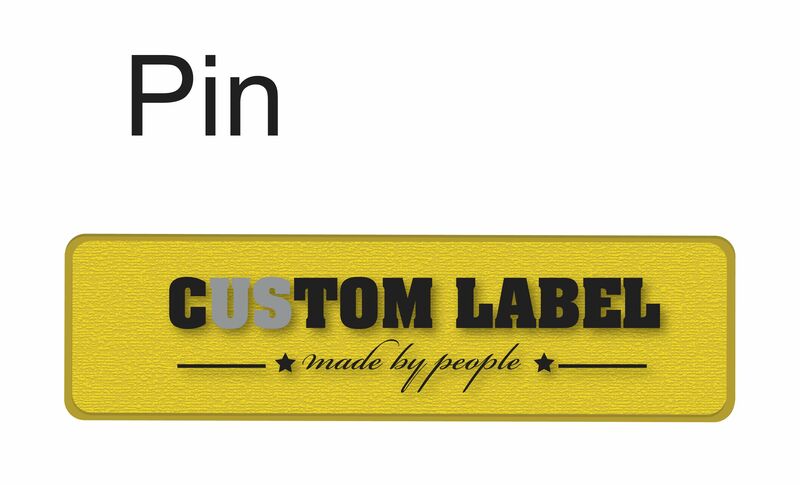 Custom Label targets everyone to be a brand owner in Custom Label. From kids that is looking for funds to go to college, designer moms that need to take care of their children, fan art illustrator which wants their own T-shirts, undergraduate that is trying to showcase their talent and the list goes on and on and on. For customers, basically everyone can buy from Custom Label. Customers will be buying T-shirts, an everyday need - but if you buy it at Custom Label, you will not just be buying a T-shirt mass produce and off the shelf. You will be buying an art that a designer put their effort into it and each of this design is unique and most of them have a story behind it. And best of all, you know who designed your T-shirt and you can give them a Thank You note if you really like them. What Custom Label needs right now? We have an idea and the means to actually get it moving! We went and talk to countless of people ranging from corporate designers, undergraduates, moms, hobbyist, anime artists, graffiti artists, and a whole bunch of other people. Most of them want to have their own custom label (brand)! and they just need somewhere to start. Same with us, we are keen on this but we need your help to fund us to develop this platform and to cover for server cost at the initial stage of the project. Once it goes live for a few months, it will then be self-sustain and we can progress further on thereafter. However, the person must send pitchIN the proof of transfer by attaching the receipt to the email address: [email protected] with the Subject Heading: Custom Label. Upon receiving that, the folks at pitchIN can then quickly update the project page. You will get our very own personal Thank You E-card and we will keep you updated on all our progress. You will receive our very own personal Thank You E-Card and we will send you an invitation to be our beta tester when the project is on. You will receive our very own personal Thank You E-Card, an invitation to be our beta tester and an exclusive "Custom Label" pin which you can use it on your T-shirts or bags. You will receive our very own personal Thank You E-Card, an invitation to be our beta tester, an exclusive "Custom Label" pin and an awesome exclusive "Custom Label" T-shirt which shows you is a Project Funder. 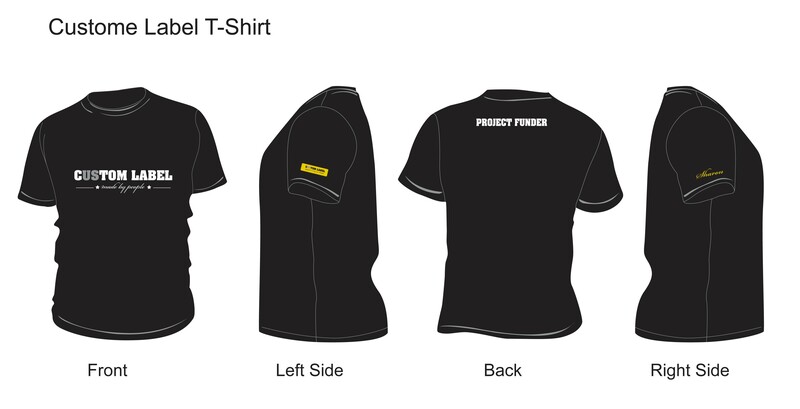 You will receive our very own personal Thank You E-Card, an invitation to be our beta tester, an exclusive "Custom Label" pin and an awesome exclusive "Custom Label" T-shirt which shows you is a Project Funder embroidered with your name in gold thread! You will receive our very own personal Thank You E-Card, an invitation to be our beta tester, an exclusive "Custom Label" pin and an awesome exclusive "Custom Label" T-shirt which shows you is a Project Funder embroidered with your name in gold thread! On top of that, we will also personally frame another exact T-shirt for you!